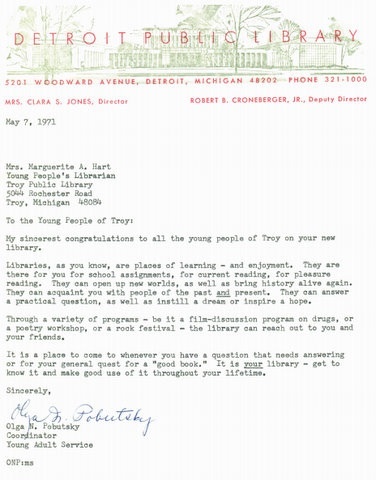 "It is a place to come whenever you have a question that needs answering or for your general quest for a 'good book.' It is your library get to know it and make good use of it throughout your lifetime." This letter is heart-breakingly timely as the Detroit Public Library is looking for solutions to keep the doors open for ALL. We wonder what solutions Olga might have! 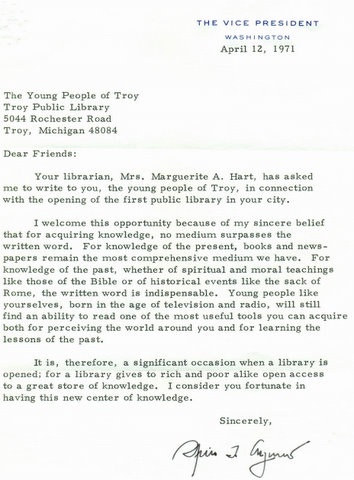 "...for a library gives to rich and poor alike open access to a great store of knowledge." 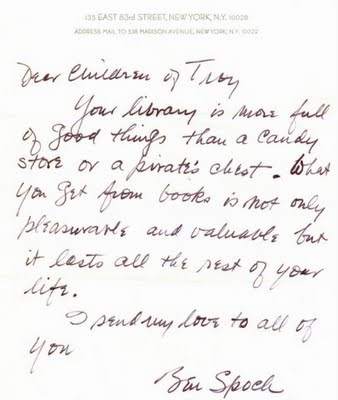 "Your library is more full of good things than a candy store or a pirate's chest." Letter to the Children of Troy from Douglas Fairbanks, Jr.
"History books are the gold bullion of knowledge, and a library is the bank where all the knowledge is stored." Stop by tomorrow for more of these amazing letters! 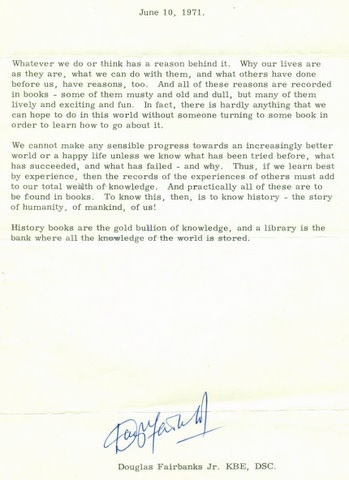 And don't for get to tell us What you are Reading RIGHT NOW!! Hope everyone following the story is sending good thoughts to Troy Public Library TONIGHT!! We sure are!